 For 25 years Cordova Safety Products has expertly provided consumer and industrial personal protective equipment, so we know a thing or two about safety. We invite you to keep updated with latest our news and blogs. The Cordova-brand COMMANDER IMPACT™ glove offers ANSI/ISEA A7 cut level protection. It features a 13-gauge, hi-vis yellow HPPE/Glass/Steel fiber shell with a two-layer, red, sandy nitrile palm coating for added gripping power. 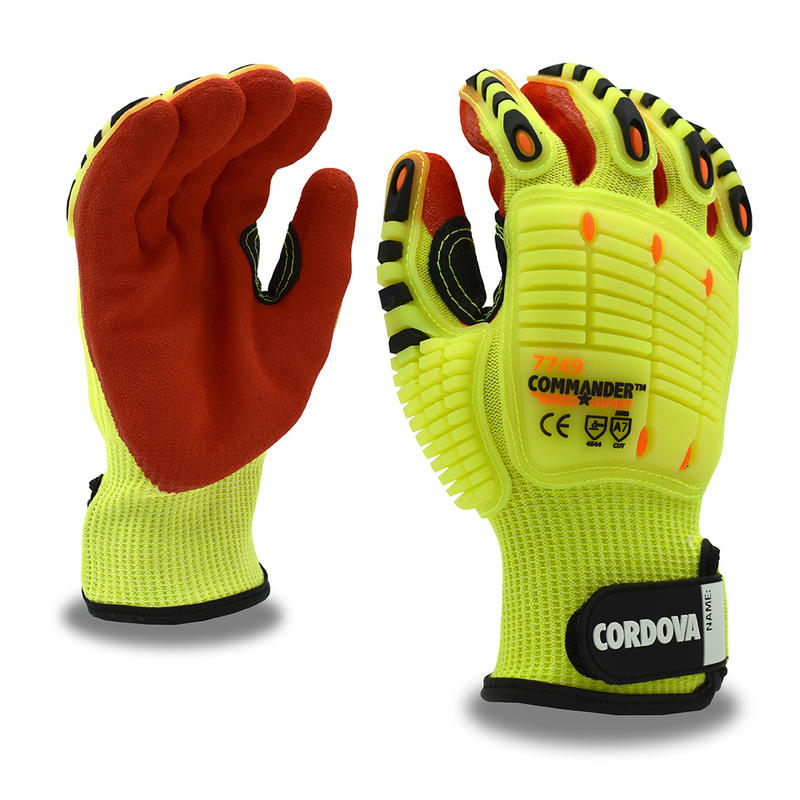 The new COMMANDER HV™ gloves from Cordova Safety Products offer an ASNI/ISEA A7 cut level. They are constructed of 13-gauge, high-performance polyethylene (HPPE) yarn, interwoven with steel and glass fibers for added cut resistance and tensile strength. The two-ply, sandy nitrile coating absorbs surface liquids for a strong grip but will not allow liquids to penetrate through to the skin. The new OGRE FLEX™ glove is the latest addition to the OGRE (Oil. Gas. Refining. Equipment) glove line from Cordova Safety Products. They are designed for those down and dirty jobs that require gripping power and impact protection. Featuring 13-gauge hi-vis polyester shells, TPR protectors, a reinforced thumb crotch and single-ply sandy nitrile coating, OGRE FLEX gloves protect against a wide range of hazards. The sleek, new Cordova Safety Products BLACK LABEL™ glove collection is constructed of 13-gauge, High-Performance Polyethylene (HPPE) yarn, interwoven with steel fibers for added strength and durability. 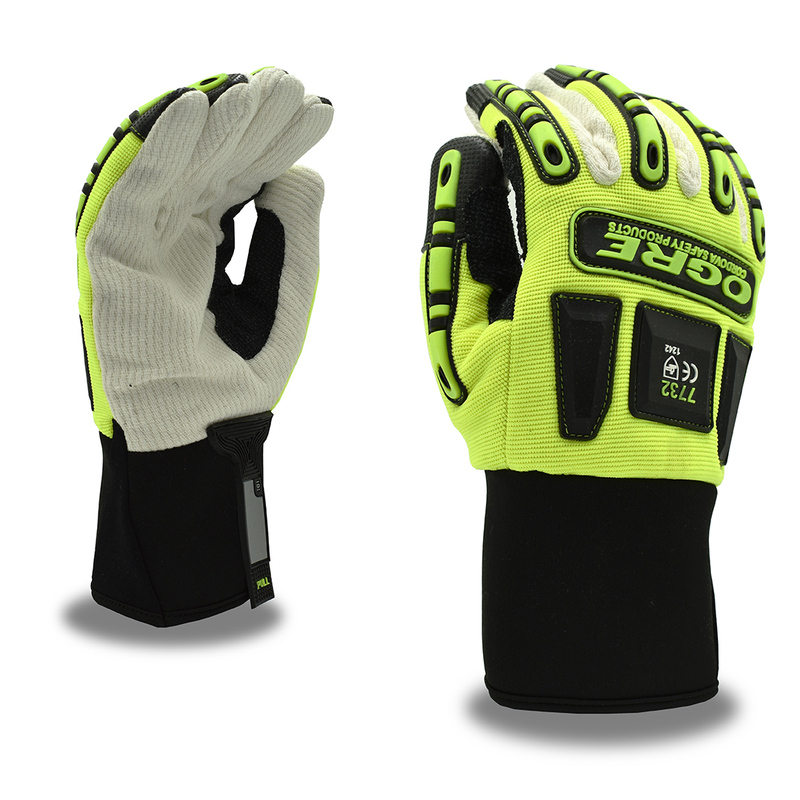 The result is a high-performance glove that is cut- and abrasion-resistant with excellent tactile sensitivity.